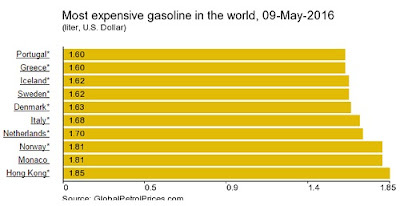 Globalpetrolprices.com, an international organization that keeps an updated data of petrol prices across the world, reports that Nigeria is ranked 12th as per cheapest price of petrol in 173 countries even with the new ₦145 per litre price imposed by the government. With the current exchange rate that is fluctuating between ₦320-₦360 to a dollar, it means Nigerians are paying about $0.44/L. In the United States, fuel is sold at the pump price of $0.65/L ( ₦214/L). 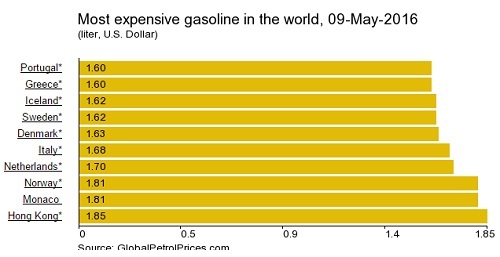 Nigeria, Oil producing countries such as Angola, Iraq and Venezuela sell Petrol at a more expensive rate than it is sold in Nigeria. 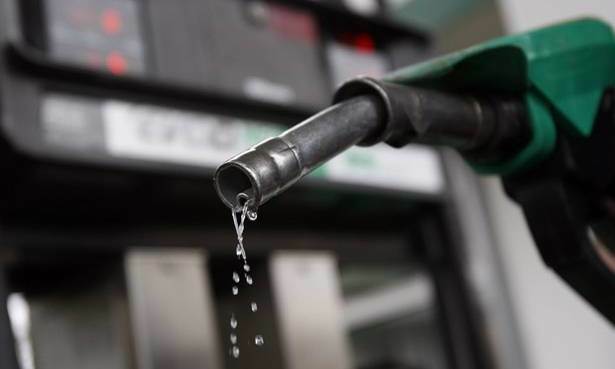 Venezuela pump price is $0.60/L (₦198/L) with President Nicolas Maduro calling the approximately ₦198/L pump price “one of the cheapest in the world”. 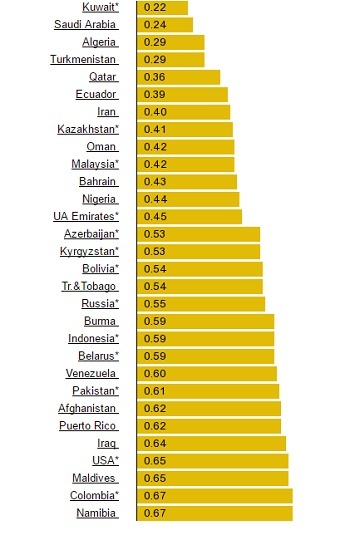 Even in the oil rich, United Arab Emirates (UAE) PMS is sold at $0.45/L which is about (₦148/L) which is more expensive than the price in Nigeria. The facts, figures and comparisons have shown that at N145 per litre, the oil price is not as expensive as feared but the economic situation of Nigeria where a great majority are poor and cost of living is relatively high, the Government has to be more sensitive towards alleviating the hardships facing the Nation. If the right measures are taken by the Government towards providing basic and social amenities/provisions for the people, as done in developed countries, Nigerians won’t have to worry or go on protests over oil price increase but focus their minds on achieving a better Nigeria.